Lyttle was first climbed in 1931, from the Ruera Valley, by T Sheerhan and George Bannister. There's a route up Architect Creek from just above the swing bridge which goes high through the bush on the true right. It's blazed with pink and orange ribbon and emerges onto the river flats just past the gorge. 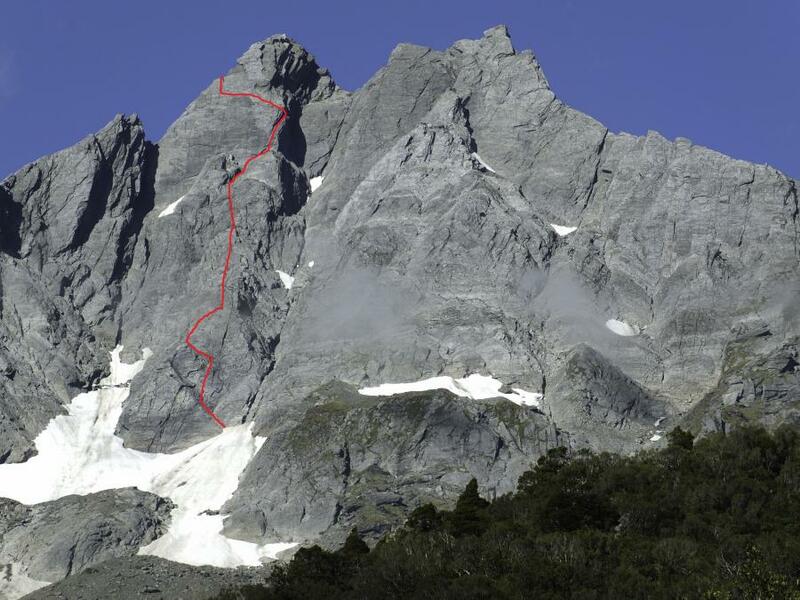 Descent from the summit to Architect Creek is via the Northern slopes, staying close to the North Ridge. At 1900m, descend the easy snow gully down to the base of the West Face. 3 pitches of variable quality rock lead into moderate scrambling through the middle section of the west face. As the face steepens again, trend rightwards aiming for the large ledge overhanging the central gully. An exposed but short step leads back onto the slabs, which are traversed to the final pitch on the NE aspect. Good quality rock on upper sections, crux grade 16.